Padang, September 30th 2016 – Recently opened in one of the most beautiful destinations in Indonesia, favehotel Olo Padang is ready to welcome business and leisure guests traveling to Padang, West Sumatra. Operated by renowned hotel management company, Archipelago International, favehotel Olo Padang is the 45th favehotel-branded hotel in Indonesia, and the latest addition to the group's growing portfolio of more than 125 hotels. Situated in the heart of the city and surrounded by magnificent ocean views, favehotel Olo Padang offers easy access to the city's must-see destinations, including the famous Pantai Padang. What's more, the hotel is easily accessible to international visitors, located only 40 minutes from the Minangkabau International Airport. 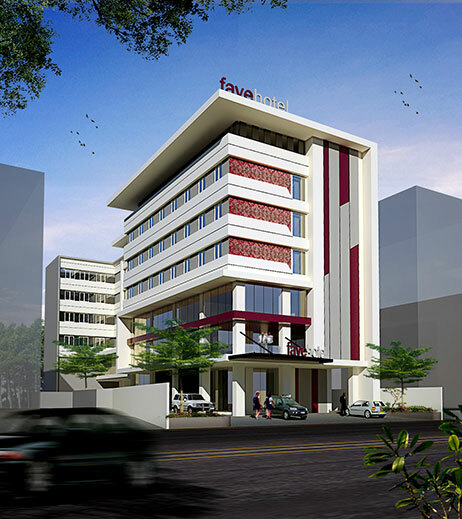 Equipped to the highest standards, favehotel Olo Padang boasts 75 modern, functional, and stylish rooms, all of which come with plush bedding, 32” LED TVs, individual air conditioners, and complimentary high-speed wireless internet to keep guests connected, productive and comfortable throughout their stay. Additionally, the hotel also offers well-appointed recreational facilities including a swimming pool for adults and a separate pool for children, the signature Lime Restaurant and Coffee Shop that showcases a well-balanced menu of international and local cuisines, as well as four meeting rooms that can accommodate up to 120 people in a cocktail or reception formation, to cater to the hotel's business travelers. “The city of Padang has its own charm for being the center of both cultural and trading activities. It is famous for its beautiful natural landscapes that have caught the eyes of not only local tourists, but also international visitors, whilst the city's burgeoning trading opportunities are beginning to draw in the business crowds. We see such potential here, and as such, we believe that favehotel Olo Padang is eligible to become Padang's preferred accommodation option in the near future,” said John Flood, the President and CEO of Archipelago International.